Athens-Clarke police search theater. No suspicious items found. Athens, Ga (Grady NewSource) – Athens-Clarke County police have searched the Carmike Cinema location in Athen after a threat was made against the movie theater chain Friday. 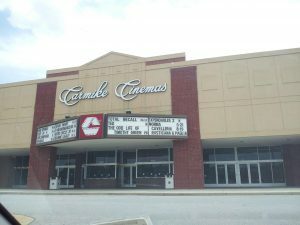 A district manager for the theater chain contacted the Athens theater, located at 1570 Lexington Road, who in turn called police, Athens-Clarke County Police Department spokeswoman Hilda Sorrow says. Officers found no suspicious items during their search of the building. The threat was made against theater locations nationwide. Calls to the cinema have not yet been returned.